Not long ago, Shelley came into the studio to plan out a session that she had won through the Women’s Transportation Seminar Hampton Roads Chapter's annual silent auction that we have donated to benefit their scholarship program, the past 3 years in a row. At this pre-session consultation, she told me about her boyfriend and how many years they have been together. Naturally, I asked when they were going to tie the knot and she let me know it was in the works but her sister was getting married this year so they would probably wait until later. So we set a date at the beach for couple's photos. Not long after this meeting, she let me know that they had gotten the cutest new Australian cattle dog puppy, can he be in the photos?! YES!!! YES!!! YESSS!!! - I was thrilled to add their fur baby into their session and could not wait for their session in just a few more weeks. Then I get a phone call from Shelley's boyfriend, Kenny, very hush-hush… I had not met him yet and when I heard his voice, I knew exactly why he was calling - I was so excited - giving tips on how to surprise Shelley and his plan for a surprise proposal on the beach. I was happy to be in cahoots with him, even offering to create the "MOM SAID YES!" sign for them! We started the session with the two of them and their handsome little guy, Winston! Photos with their furbaby were so much fun - when we had gotten enough cute photos with him, they did an outfit change for a more formal, fancy look picture together. It's very clear that they adore and love each other as they walked hand in hand down the beach making a perfect scene for our painted heirloom wall portraits. Finally, the sun dropped low enough in the sky, and it was time. Then I had her turn around - At first she didn't see him as she continued to look towards me for more photos - and then she realized he was professing his love to her and the tears started flowing with surprise! What started out as a couples' photo session with their new fur baby pet, Winston, became a proposal for marriage and engagement session! Because of course, MOM SAID YES! 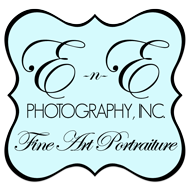 Certified Professional, Master Photographer, Erin Clark, is a full time, full service studio photographer. She spends several weeks each year in the Pacific Northwest where she has most of her side of the family. The rest of the year, she resides in the city of Virginia Beach with her retired US NAVY, husband, Eric (the other 'E' in E-n-E), their son, three pups & 2 cats, spending most days at the London Bridge studio. If you are not in the Virginia area and are looking to book a session with Erin anywhere worldwide, check out her next travel dates to the PNW: last week of August - 1st week of September, August 1-7th in Keywest! Talk to us about coming to you anytime - have camera, will travel to take care of any of your portrait needs!